Après ski is an essential part of every ski day in Ski City, aka Salt Lake. 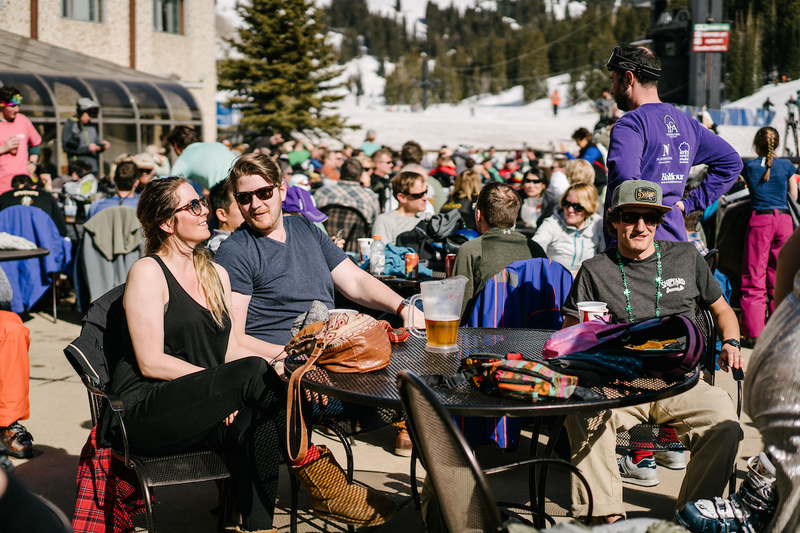 After a day spent on the slopes of Alta, Brighton, Snowbird or Solitude, four of the greatest resorts in the country, skiers and riders can head for one of the legendary après ski spots at their bases. There’s no better place to rehash a day spent on “The Greatest Snow on Earth.” Just 40 minutes away is downtown Ski City, which has become the best urban ski spot in the US Here’s a look at some après favorites. You’re spoiled for choice in Little Cottonwood Canyon. Alta is where R&R lives, starting with P Dog, the locals’ nickname for the The Peruvian Bar at the Alta Peruvian Lodge. 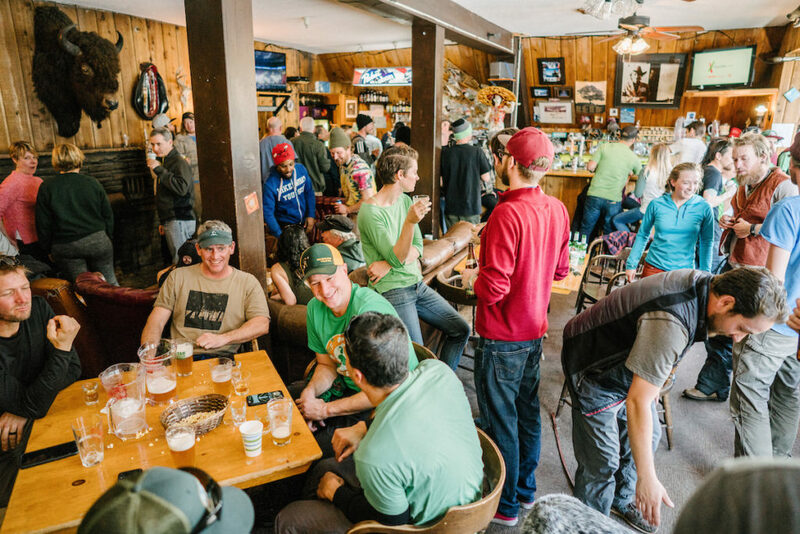 Located midway between Alta and Snowbird, it has a stuffed bison mount, a fireplace and a crowd that knows how to enjoy themselves. Come for the free popcorn and free apps, pony up for spirits from High West Distillery and Five Wives Vodka, or brews from Epic and Bohemian. There are live bands on certain evenings and a fun-loving vibe that is the essence of apres ski. Another option is the GMD Saloon at the Goldminer’s Daughter Lodge, where picture windows overlook Alta and Mount Superior, the perfect place to drink in the views and a pitcher of PBR. In search of quieter digs? The legendary Sitzmark Club at the Alta Lodge fits the bill. Climb the rabbit warren of stairs and the Euro-flavored Sitzmark Club awaits, with mountains views, a toasty fireplace and welcoming drinks. Over at Snowbird, The Tram Club at Snowbird is hidden below the Tram Deck in the Snowbird Center. Regulars sort of like it that way, but everyone is welcome at this sports bar on steroids with 14 televisions, multiple pool tables and the actual tram wheel in the bar. A large array of custom cocktails and brews like Unita Seasons Pass Vanilla Porter are available to wash down the inevitable order of Spicy Cheese Fries. 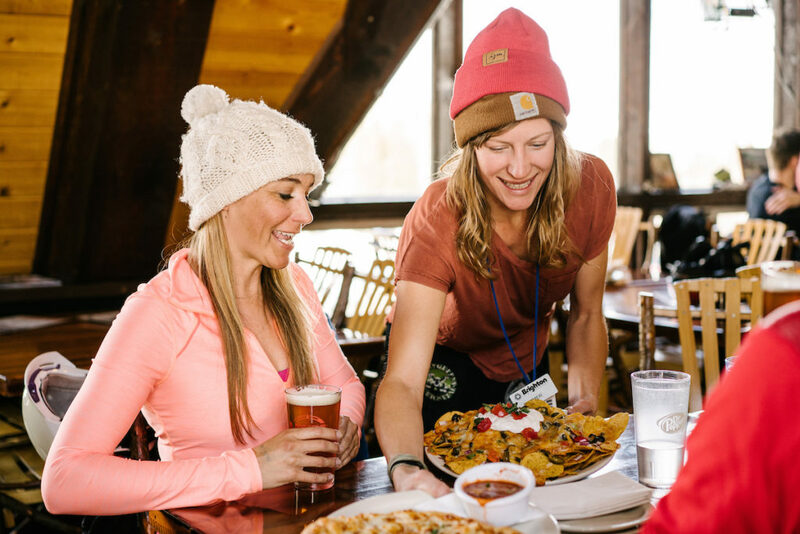 In Big Cottonwood Canyon, Molly Green’s is a classic ski bar at the base of Brighton, located in a vintage A-frame with a fireplace. It’s the place to unwind with their famous nachos and hand-tossed pizzas and challenge a friend to a game on their well-used pool table. Après stretches into dark here, as Molly Green’s caters to the night skiing crowd and is open until 9:30 p.m. Further down the road at Solitude Mountain Resort is the Thirsty Squirrel , with a great selection of craft beers (Bohemian BrewSki Pilsner and Wasatch Backcountry Rescue Dog Pale Ale are among those on tap) and appetizers like turkey chili nachos, baked brie and roasted hot wings, the comfort food of choice after a day in the pow. 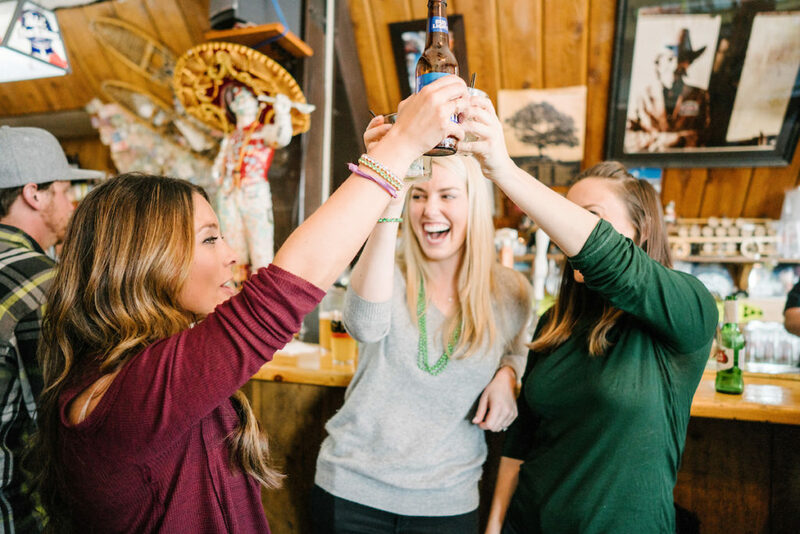 You could spend a couple of weeks in Ski City and still not hit every après ski bar in town. There’s a huge roster of brewpubs to choose from, including places like Squatters, Desert Edge Brewery and Wasatch Brew Pub. Not to mention Red Rock Brewery, Epic Brewing Company and the Uinta Brewing Company’s Brewhouse Pub. Or maybe try Fisher Brewing Company or the RoHa Brewing Project? Need additional choices? The Beer Hive Pub has 200+ brews (24 on tap) while the Beer Bar/Bar X (co-owned by Ty Burrell of “Modern Family”) is perpetually lively. 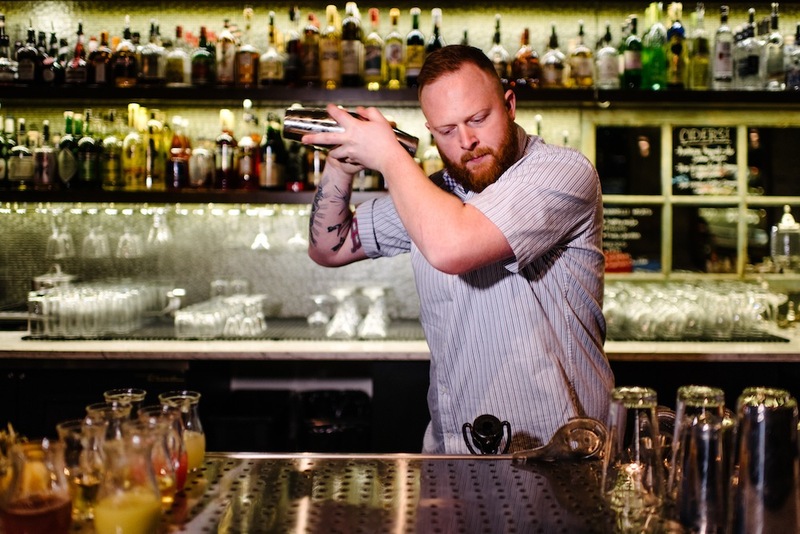 Those in search of sophistication can check out Avenues Proper, White Horse Spirits & Kitchen and Copper Common. Or grab a table at Whisky Street, The Red Door or The Vault at Bambara, all of them ideal for the cocktail set, as are Lake Effect and Under Current. Find out more about Après Ski City at Ski City.